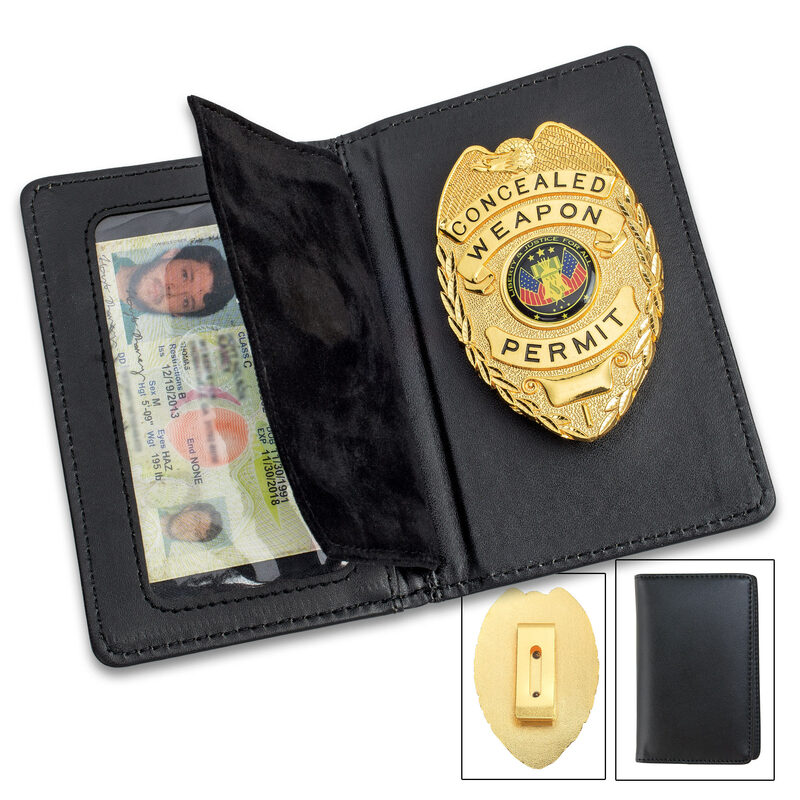 The Concealed Weapon Permit Badge is an absolute must for any concealed weapons permit holder! 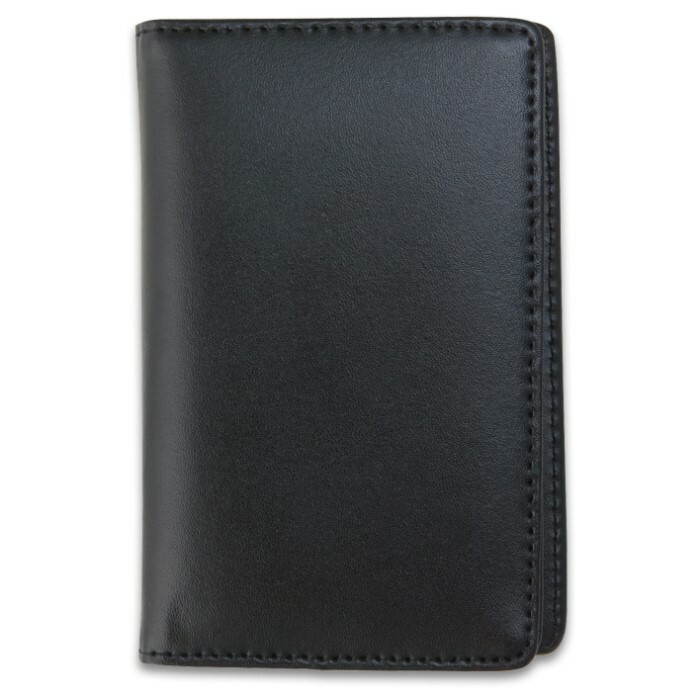 The case is exceptionally crafted of genuine black leather and features a window for your permit or ID. 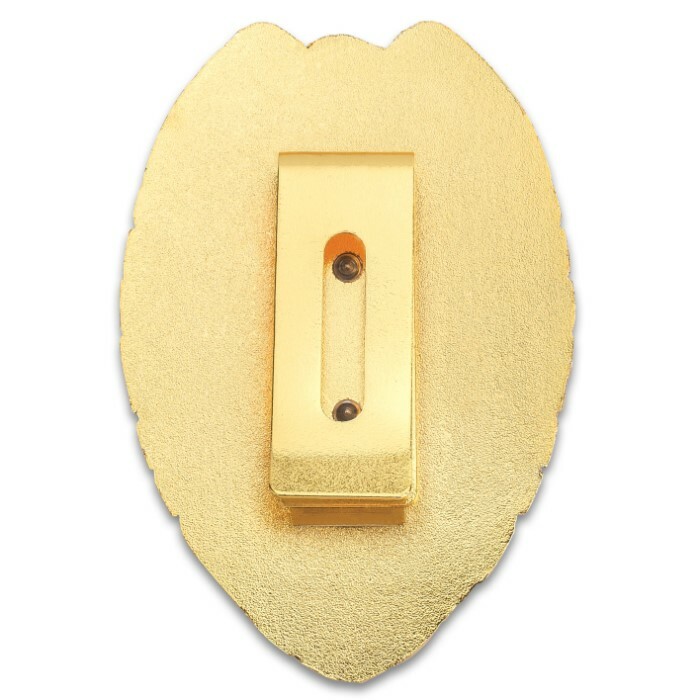 The attractive cast metal badge has a durable, high luster gold-colored finish and clearly states that you have a "Concealed Weapon Permit." The high quality case is 5" x 3". I like it a lot . wish it had a way to pen it on my shirt,,it does not stay on my belt very good..sure don't want to lose it.. I bought 2 for my husband and I. Great leather! looks official. Perfect to carry. This is a well made product, its light weight and professional looking. Great Product for the price. The Mrs. and I recently got our CCW's. I thought that these would compliment our recent successes, and provide a nice place to keep our permits. Only improvement to the item would be to have a couple of extra places to keep other cards/I.D./cash. Very well constructed, and we just love them! You need one of these, if you have your CCW. Great product!.Good construction and perfect weight.Highly recommended!! Love this item. 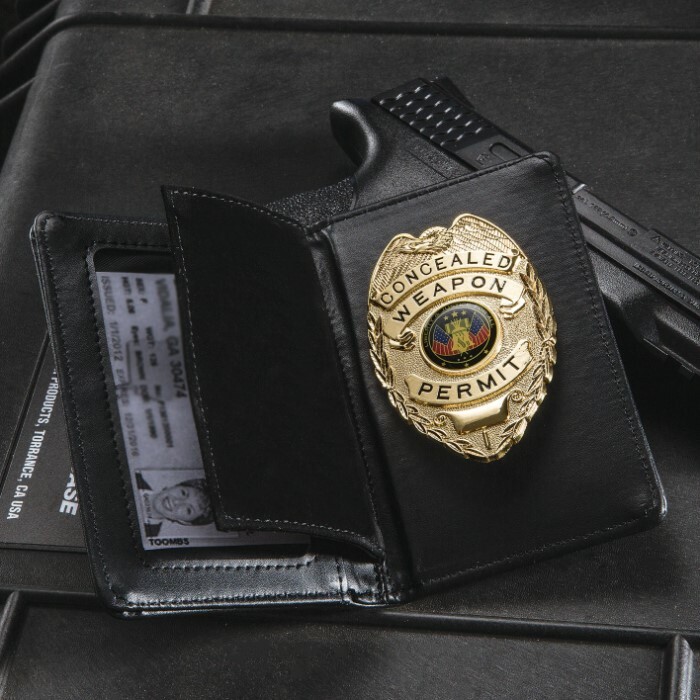 It is very official looking and a very nice way to carry a concealed weapon permit. The case is a very soft leather and the badge is a heavy weight metal. Not cheap looking at all. I would highly recommend this to anyone. Although this is a great product, I found it on other web sites for $17. I lucked out buying on the bogo here at BUDK. am a frequent visitor to a rifle and pistol range and often transport weapons. wanted a good carry all for my carry permit; pistol club membership and other documents relating to the transport of firearms. this case was ideal. good quality and value. price was extremely reasonable.